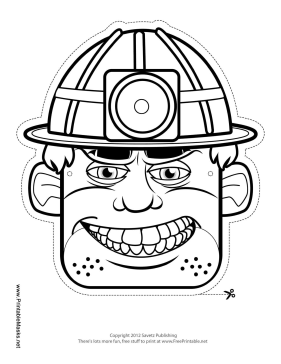 Color in this blank male miner mask for your own adventure down in the mines! Whether you're looking for diamonds or coal, you'll be sure to find it on your make believe adventure with this mask. This mask is free to download and print.